*Editor's note: The author wrote the name of Nicole Givens Kurtz's press as "Mocha Merlin Press" when the name is actually "Mocha Memoir Press." The article has been updated online to reflect this change. Nicole Givens Kurtz is, like me, someone who grew up watching Westerns but went on to professionally write science fiction, fantasy and horror. But she belongs to a younger and more inclusive literary generation than my own, one come of age at a time when those genres are no longer perceived as the exclusive domain of white males (a generalization never true, but once widely believed). Kurtz, who divides her time between living in Rock Hill and Kernersville and working in Charlotte, is the author of six novels, including a near-future noir trilogy in which tough private investigator Cybil Lewis solves crimes in the District, the fragmented city that was Washington, D.C. before the U.S. suffered its second Civil War and became the Divided States of America. 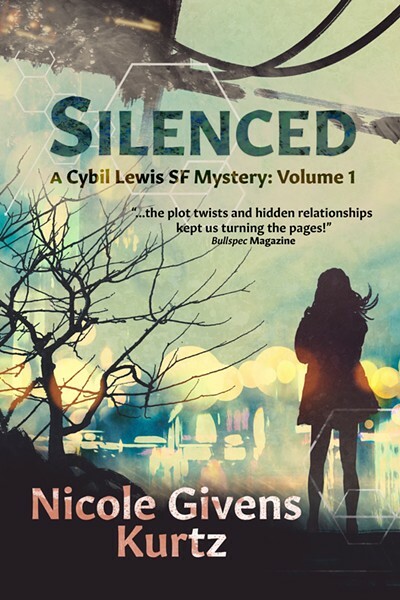 Kurtz told me that “Silenced,” her 2008 first novel about Cybil, was a major milestone in her career and one of her proudest achievements. Kurtz’s short fiction has been published in over 40 magazines and anthologies and nominated for EPIC, Dream Realm and Fresh Voices in Science Fiction awards. 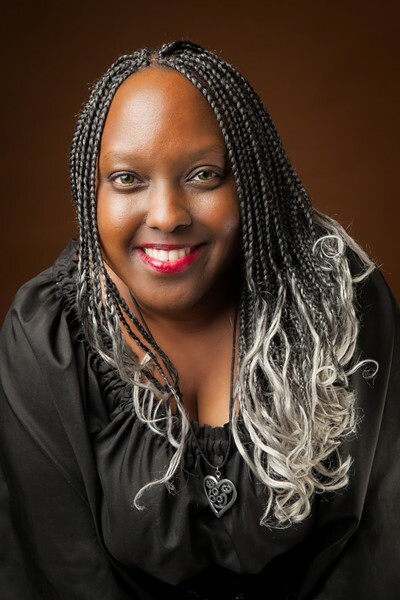 She also founded the Kernersville-based publishing imprint Mocha Memoirs Press to provide more diversity in science fiction, fantasy and horror. The “weird Western” is a subgenre that, while it brings supernatural (or, sometimes, science fictional) genre tropes to the 19th Century Southwestern United States, often represents that region’s diversity more accurately than ostensibly more “realistic” stories of cowboys and gunslingers did. In the harshly beautiful, deadly dangerous and sometimes literally magical landscape of Kurtz’s supremely weird West, freed slaves, Native Americans, Chinese immigrants and white Easterners and European immigrants interact without the rigid social stratifications of the “civilized” society on the other side of the Rockies. Kurtz’s weird Westerns are influenced by the six years she spent living in New Mexico, where she fell in love with the Zuni River Valley and the high deserts of Gallup, and with the cultures of the region’s indigenous peoples. Her stories set in this landscape have appeared in such anthologies as Straight Out of Tombstone, Six Guns Straight from Hell, and Lawless Lands: Tales from the Weird Frontier. 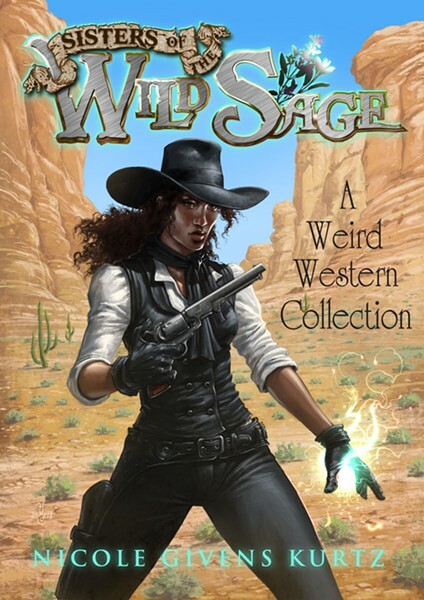 This April, Mocha Memoirs Press will publish Sisters of the Wild Sage, a 225-page collection of her weird Western short stories. Perhaps the most popular Western movie of recent decades is Tombstone, about the famous 1881 gunfight outside (not actually in) the O. K. Corral in the Arizona mining town of that name. However, the best-remembered duel in that 1993 film actually takes place an hour later, when Val Kilmer’s deadly drunken dentist Doc Holiday drawls “I’m your huckleberry” as he faces down Michael Biehn’s Johnny Ringo. Another man with a variant of that name became the center of an online controversy involving Charlotte’s popular and long-running science fiction convention ConCarolinas last year. This was the conservative military science fiction and political action thriller writer John Ringo, whose announcement as Guest of Honor caused some other scheduled guests to boycott the convention. Kurtz was one of those who announced she would not be attending the 2018 convention, despite being previously announced as a guest. I asked her if she planned to attend this year’s ConCarolinas, which will be held May 31 through June 2 at the Hilton Charlotte University Place Hotel.